The founder of Starbucks Melody is often mistaken for an employee (sorry, "partner"). 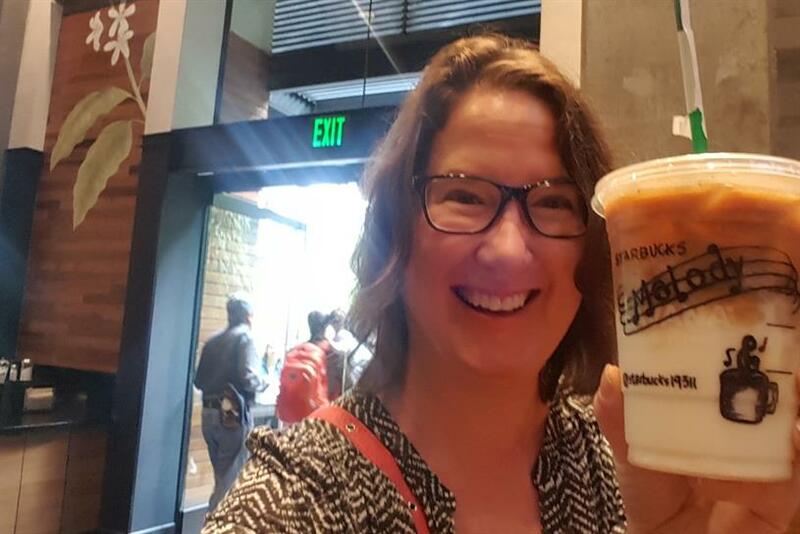 Melody Overton's fascination with Starbucks is so all-consuming that she frequently has to remind people she does not work for the company. But anyone who's seen her site, Starbucks Melody, can be forgiven for assuming she's on the payroll. What began as a fan web site six years ago has grown into a widely recognized resource for the Starbucks community. Even though the site is clearly labeled "unofficial Starbucks news and culture," media outlets like Fox Business and Marketwatch have cited her as a source. "I love the experiences. 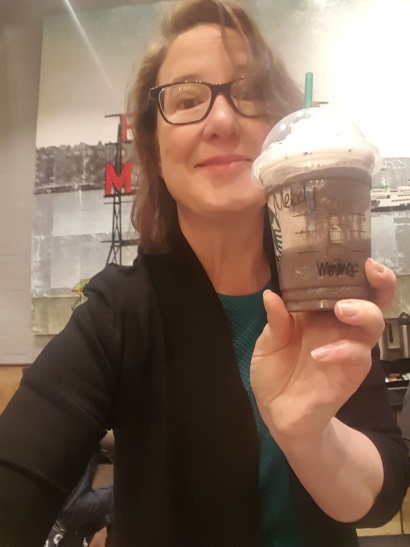 I've had so many wonderful moments of 'connecting over coffee' with Starbucks partners," she said, using the coffee chain's term for employees. "I do genuinely love coffee as well." When did you first discover Starbucks? I think I first discovered Starbucks about 1989. I remember the experiences of the 1990s, when you walked into a store and coffee was scooped out of bins, the only milk was whole milk and the store smelled like coffee. But the most influential experiences starting happening for me in about 2006, when I started working in downtown Seattle, in a sea of Starbucks stores. I still remember stopping into a Starbucks (now closed, the Smith Tower store downtown) with a salad in my hand, and a store manager recommending Sulawesi coffee with the lunch. How do you show your love for Starbucks every day? I constantly talk about Starbucks, and I'm in a Starbucks store all the time. What's your coolest piece of Starbucks swag? I have a cool 25th anniversary original banner that would have hung in stores back in 1996. That's one of my favorite things. You can make a pretty amazing cold brew coffee with Papua New Guinea Roots No 1, which is currently at select Starbucks stores like Reserve Bars (like @starbucksreservebar ) or stores like @starbuckseolive and is also at the Roastery. 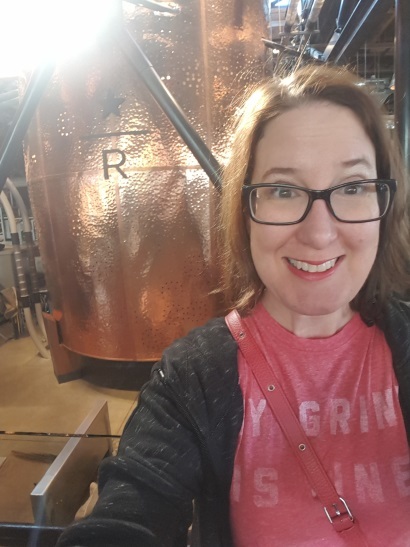 @starbucksroastery #coffeejourney #Starbucks #starbucksreserve You can find more detail on my cold brew adventures on StarbucksMelody (link in profile). What's the craziest thing you've done for Starbucks? I think producing StarbucksMelody.com might count! This is the logo that was in use at Starbucks from 1987 - 1992. It's on the door of Starbucks store number 101, which was also the first store to ever serve an eggnog latte, back in October 1986. Right now I've got a downright tough Starbucks quiz up on StarbucksMelody blog. How much Starbucks history do you really know? What's the nicest thing Starbucks has ever done for you? In 2008, I was invited to taste coffee at Starbucks headquarters with the coffee masters inside their famed "cupping room" where coffee is tasted and checked every day. That is still one of the most special moments ever. Another equally amazing experience was in 2011 when I did what was called a "brand days" tour, which was kind of like a temporary mini-exhibit of Starbucks experiences, store design and more set up internally inside the Starbucks headquarters. If you could change one thing about Starbucks, what would it be? The Starbucks experience can be a bit of a roller coaster ride. Store experiences can really vary from store to store. I'd like to see more consistency, but I think that would need to come from big changes like more time for training, more emphasis on teaching Starbucks history and culture and more labor in stores. What's the one thing that would make you disloyal to the brand? When experiences stop being genuine and authentic, then there is a problem. The photo props are a cute idea! Love it @starbucks! I know I look sleepy still in this pic. LOL. Can't believe I'm posting it! I love Fluevog shoes, Lucky Brand jeans and Nordstrom.